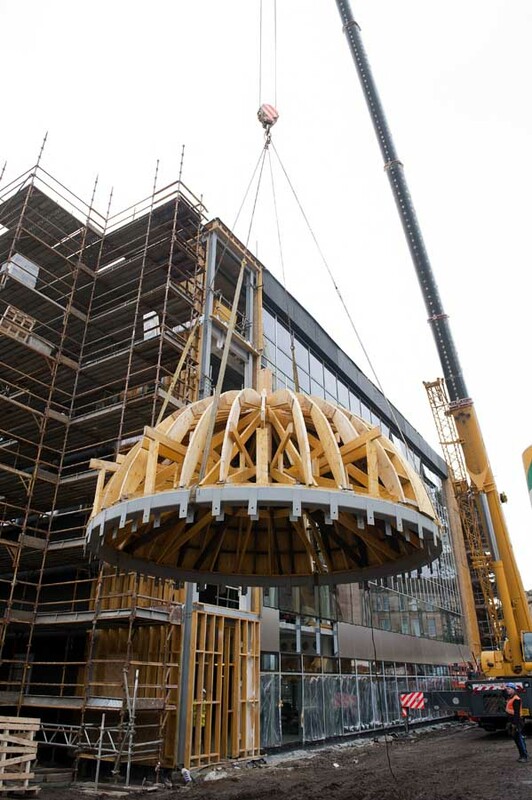 On 19th February the Olympia redevelopment project reached a milestone point with the reconstructed cupola being lifted into place. The event attracted quite a crowd at Bridgeton Cross. 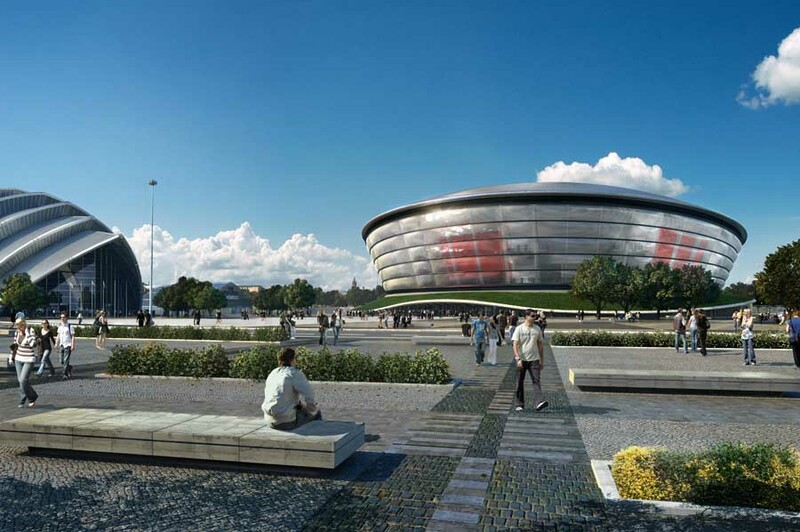 This Page Park designed project for Clyde Gateway is to be completed in autumn 2012 and is to house a library, sports training facility and office space. The Olympia Theatre has been an east-end landmark since its opening in 1911, with its prominent location at Bridgeton Cross, near the Category A Listed Bridgeton ‘Umbrella’. 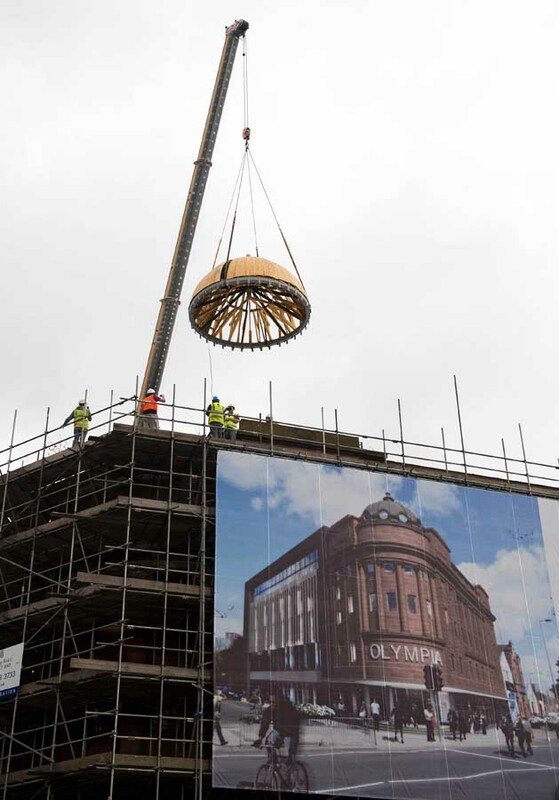 With a 100 years of changing uses the Olympia Theatre will reinvent its self once more, forming a key gateway to the Glasgow 2014 Commonwealth Games’ Avenue of Sport. The new Olympia will be both a public library and a centre of excellence for elite athletes, as well as creating much needed high quality lettable office space. The design approach for the former Olympia Theatre is to façade retain the existing stonework elevations to Olympia Street and Orr Street and remove all structure and finishes behind, these having been very significantly compromised over the years as a result of fire, water ingress and rot. The conservation approach is to recreate the original aesthetic with regards to the stonework, cupola, canopy and signage, whilst bringing these items up to present day regulations where possible. 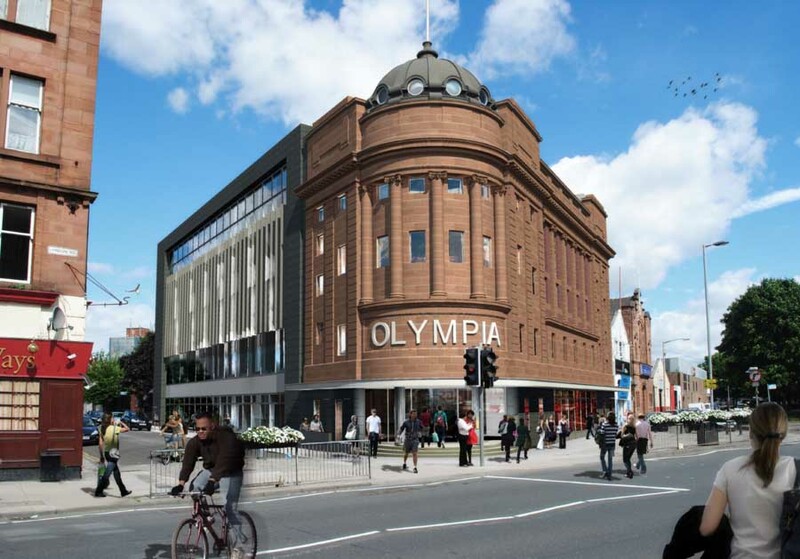 The proposed redevelopment of the Olympia Theatre of Varieties will involve retention of the Category B Listed facade facing onto Olympia Street/London Road, and demolition of the rear structure to allow erection of a new steel framed structure capable of accommodating 4 stories of flexible floorspace of over 3,300sq.m / 35,000sq.ft. The new build element will provide a visible facade onto Orr Street, also viewed from Bridgeton Cross. 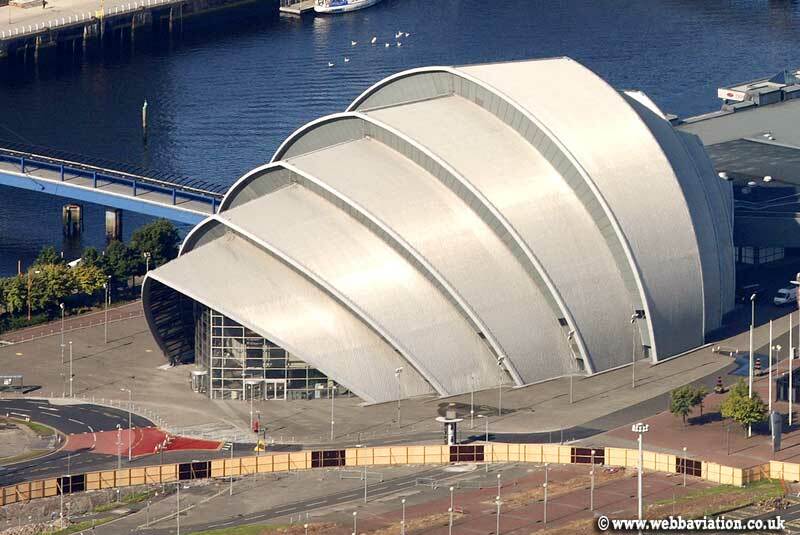 Initially the listed facade requires stabilisation and protection from further deterioration. It will then be sensitively restored and integrated into the new structure with the prominent dome reconstructed as part of this process. The building will be transformed externally, with areas of glazing opening up the existing façade and a new glazed frontage onto Orr Street, allowing the activities in the first floor sports training areas and the upper floor offices to be seen from the street, animating the building at all times of the day. A new granite plinth will run along the ground floor on Olympia Street before wrapping up and over the large curtain wall opening on Orr Street, the design being reminiscent of a proscenium arch recalling the buildings original use. At ground level the primary access to the building will be from the corner of Orr Street and Olympia Street, via the original theatre entrance, which will be covered by a new canopy, recreating the original, now lost, canopy of the Olympia Theatre. The foyer will allow access to all levels via a spiralling timber clad stair. 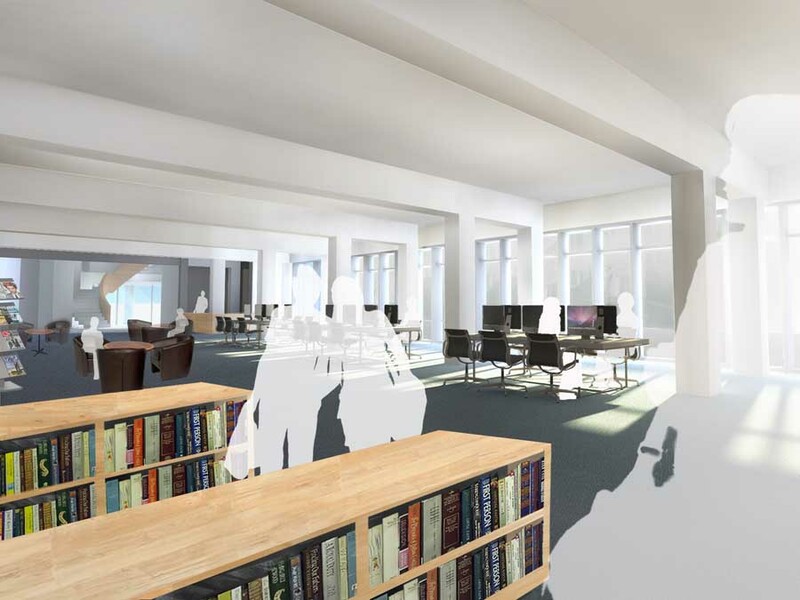 The ground floor will house the re-located Bridgeton Library, which will be a modern inclusive ICT rich environment, which will also accommodate a café. 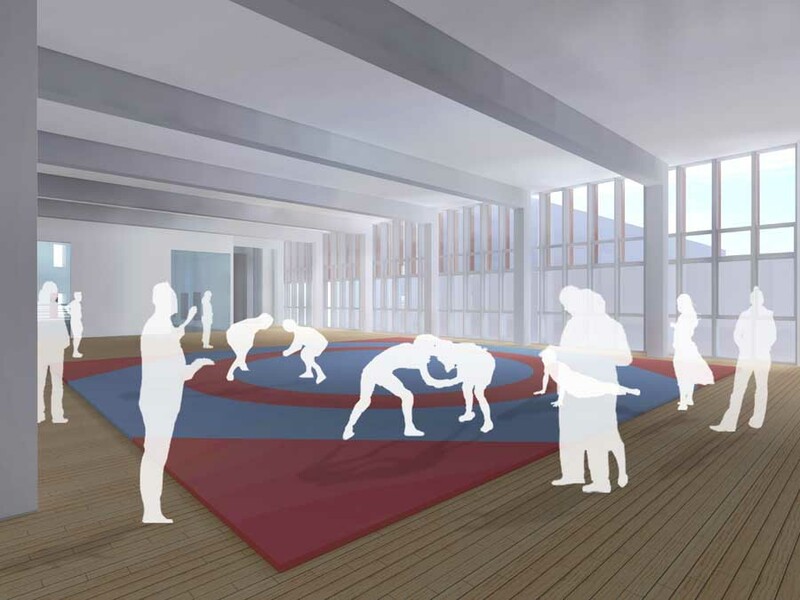 The sports training area located on the first floor of the proposal will house the national governing bodies of Wrestling and Boxing, serving as a training facility for elite athletes in these sports. 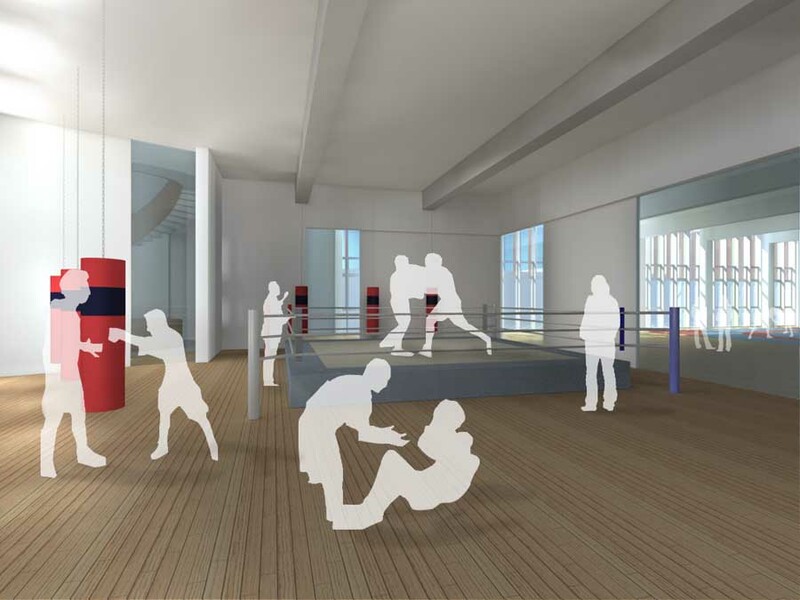 This requires the creation of a large open space free from structure to accommodate the wrestling and boxing activity spaces. The second and third floor is to be allocated for lettable office space, and will also feature large span open plan spaces with the potential to be occupied as either as a single open plan office or subdivided into two. 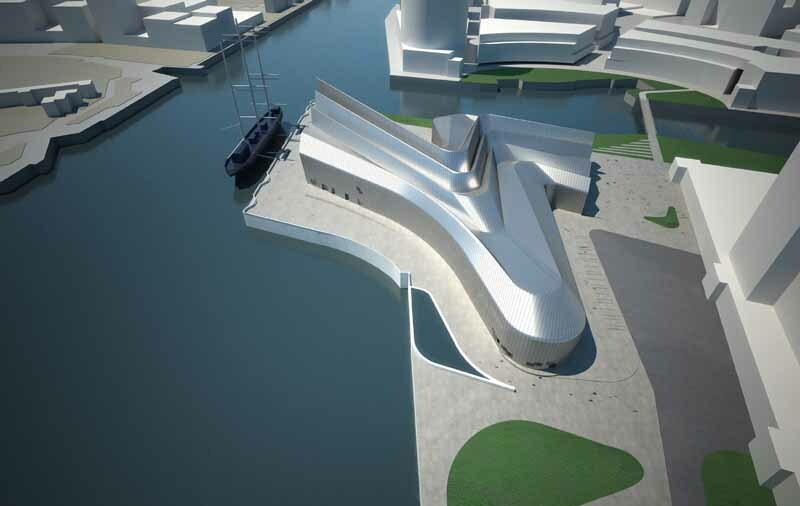 The development is also being assessed under BREEAM and is aiming for an ‘Excellent’ rating, with the proposals including rain water harvesting, high thermal insulation and a micro CHP. Originally known as the Olympia Theatre of Varieties, the building was opened on 18 September 1911 to the designs of the architectural practice George Arthur & Son, the actual architect being John Arthur who continued his father’s practice following his death in 1899. The interiors were by Frank Matcham (1854-1920), probably the most prolific theatre architect of all time. Originally seating around 2,000 people in the stalls and dress circle, the building was equipped to show films from its opening. There were two tiers of gallery and marble balustrades and what has been referred to as “lush plasterwork” in the style of Matcham. In 1924 the building was acquired by Scottish Cinema and Variety Theatres (later to become ABC – Associated British Cinemas) following which the ‘variety’ aspect of the programme was dropped, the focus being on serving as a full time cinema. The Matcham interior was superseded in 1938 at which time the lavish plaster scrollwork in French Renaissance style was consider inappropriate for a modern cinema. A new Art Deco interior by McNair & Elder (Charles J McNair and Henry F Elder) incorporated concealed lighting, decorative grilles and other architectural elements of the 1930’s resulting in a significantly changed auditorium with seating for 1,689 with the re-opening being on 21 November 1938. Use as a cinema continued through the subsequent decades until closure on 9 March 1974, the name having being changed to the ABC in 1963. Following a period of disuse, the building was converted to a bingo club operated by County Bingo. The last use of the building was as a furniture store, this use ceasing in 2000. For 10 years the building has therefore remained vacant, becoming increasingly derelict. This deterioration was exacerbated by a serious fire within the building on 30 November 2004 as the result of which a man who had been sleeping rough within the building died of smoke inhalation.